Thank you, Venture Galleries for featuring an excerpt of "Hidden Creek" on your website today! Readers, enjoy the sample read! In our mission to connect readers, writers, and books, Venture Galleries has launched a series featuring writing samples from some of the best authors in the marketplace today. Sunday’s Sampler is an excerpt from Hidden Creek, book three of three in the Running Forward Series, a powerful faith and family saga by Lynn Hobbs. Hidden Creek won first place in Religious Fiction for 2015 by The Texas Association of Authors. As one reviewer said: Hidden Creek is a modern, fast-paced story, full of the events that have to be faced and overcome in daily life. Showing the strength of friendship, and what can be achieved with a loving relationship. 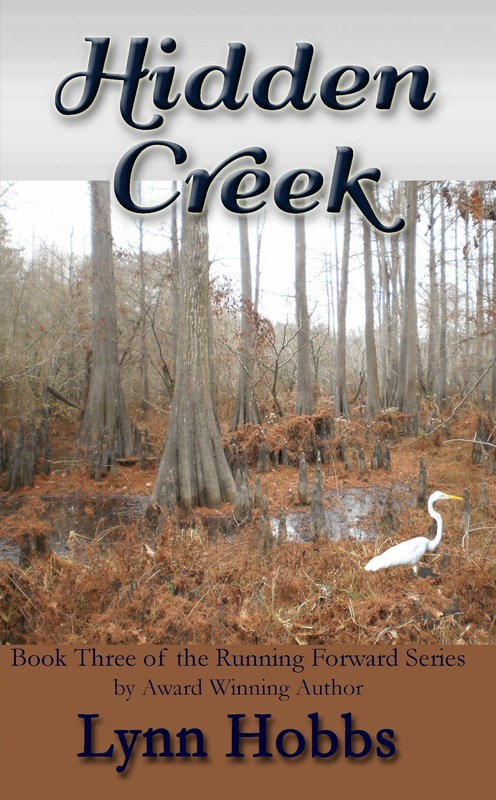 Set in familiar surroundings of Northeast Texas, Hidden Creek is a really good read, and part of an enjoyable series. Two women, two men, fight the wages of sin. Who heals? Who follows God’s will? learned make Susan’s world come alive. Through many struggles, does Susan’s faith prevail? Will this family ever bond together? of his foot ceased, energy left him, and his body involuntarily swayed. wake her.” He slammed the motel phone down. edge of the bed, and her mouth was slightly open. I will wake you…where’s the ice machine? “Izabella?” He snickered and dumped the bucket of cold, ice cubes on her face. She sputtered and gasped, rising from the bed with a scowl. “Ben how dare you,” Izabella yelled. arms around her waist and gently lifted. She slowly got up and stood without his assistance. “You sound so kindhearted about drenching me with ice cubes.” She gave him a playful shove. muscles in her back. Energy returned, and she emerged resembling herself again. “I am notorious for staying up too late. I must have kept you from getting enough sleep last night. she caught the phone. “Great catch; I’ll go get us something to eat.” Ben sailed out the door. Izabella clicked on Susan’s name and hit speaker phone as it rang. “You don’t remember?” Susan blurted.